Unigo is one of those hit-yourself-on-the-head-why-didn’t-I-think-of-that brilliant concepts. (Seriously, there’s a big red mark on my forehead right now.) It’s an online, student-generated guide to colleges — and not another outdated directory lacking in detail, nor a glossy brochure that tells you only what the college would like you to hear. And it’s the brainchild of 26-year-old Jordan Goldman, who stealthily colllected tens of thousands of reviews from students at 250 schools over a two year period before launching the site. This free website gives your college-bound kids a chance to find out what campus life is really like as told by other students. (Of course, Unigo editors read all comments and edit out inappropriate content, but negative reviews are part of the package, and never filtered out. )A sophisticated search engine lets your kids look for reviews by kids just like them (for example, they could look to see what the English majors who play sports happen to think about Princeton). It’s a great way to get a little more background before making this big decision. With more than 50 times the content of any printed publication, Unigo is a must-see resource for kids (and parents). Check it out! Hi everyone! For years, high school students and their parents have had to rely on costly print college guidebooks for their college research. These books offered limited information on each school (often written by marketing professionals), and had few photos, no videos and no interactivity. 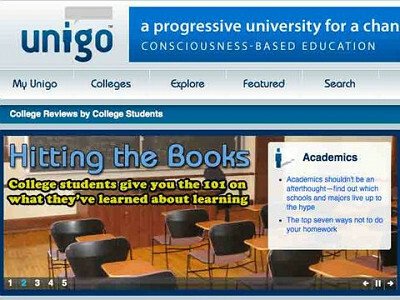 Launched in September 2008, Unigo.com is a 100% free site that aims to fill this gap, with tens of thousands of interactive reviews of America’s top colleges all created by the real experts - the students themselves. 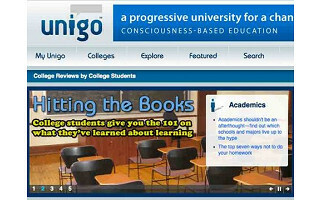 Unigo's student-created college reviews were described by The New York Times Magazine as "…so evocative they make the one-page U.S. News summaries read like junk mail … they are vivid in a way no guidebook can match," and The Wall Street Journal’s Walt Mossberg called Unigo "…a college information resource built for the age of YouTube and Facebook." Pre-launch, Unigo’s team of 19 editors spent months researching America’s best and largest 250 colleges, and networking with tens of thousands of students to give them the opportunity to tell their stories. They made sure to contact a diverse range of students within each university – students from every class year, major, ethnicity, religion, political affiliation, sexual orientation, etc. After more than 30,000 candid and original reviews, videos, photos, documents and more poured in, Unigo’s editors viewed and organized all of it, working with students on campus to ensure accuracy and making all of it available at Unigo.com. At many featured colleges, close to 10% of the student body contributed content. Today, the content on our 100% free site continues to grow, with new schools, reviews, videos and articles being added daily. Anyone can visit the site and find everything they want to know about our hundreds of featured schools. You can view our editor's overview of a college, or search for specific student-written reviews. Want to know what female students think of a particular campus, or african american students, or english majors, or conservative students? On Unigo.com you can find out. I started work on Unigo when I was 23 years old, and I'm incredibly excited to hear what you think. Looking forward to hearing your thoughts!! Thank you Daily Grommet. I hadn't heard of Unigo. Looks like a good resource. Unigo is pretty interesting. I found this website quite useful www.mycollegefaq.com. Great answers to frequently asked college questions. Very professional and better yet, free and no ads. I happen to have a high school junior. We are (frantically) trying to figure out a college visit trip for his April spring break. I need my son to take a lead role in choosing where to visit. It is way easier to get him to screen schools through Unigo than via books, college websites, lists etc. Unigo feels more like the media (YouTube, Facebook etc.) that he is used to. @Bob Michaels. I took a look at the site mycollegefaq.com It’s a nice complement to Unigo, as it is really focussed on the admissions process and its content is all from adult experts, as opposed the student content focus of Unigo. Thanks! Anyone trying to help a kid with this process, or just relate to a kid at college can really benefit from these new tools. For Jules about the college trip -- at www.applywise.com there is a good podcast about college trip planning and there are several articles suggesting college trip itinteries by geographical region. You might want to check it out. This sounds like a great site. I'll file it away to turn to in a few years when we need it! Good luck. Great idea! I took a quick look and will be spending more time on the site, for certain! 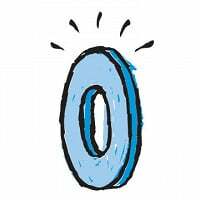 Thanks, Daily Grommet for sharing this free resource. Very appealing to students! @jan Thanks for the www.applywise.com tip. I am checking it out. This is a great find! As the parent of a high school junior and senior this is an incredibly valuable tool for our family. I have already shared this site with a number of friends whose children are trying to make up their minds on college selection. Thanks so much for sharing this incredible resource. I know we will use it often. This is wonderful! There's a lot of information here that we'd like to know. My son is a junior and we're starting to look at colleges, so this comes at just the right time. Thanks! Ok I am back with the update. My son used Unigo heavily starting in March and up until the time he submitted his apps a month ago. It was invaluable. We saved so much time and $ by eliminating the schools that did not "do it" for him. I was slightly worried that he might eliminate good choices, but at the end of the day, he applied promptly to 10 schools and they are all ones which fit his goals. He already has an acceptance for next fall. Thanks Unigo for really delivering for our family. As millions of families grapple with the task of filling out college applications and competing for entrance into the nation’s most selective institutions, the deans of admission from a diverse range of colleges and universities will share advice that all college-bound students and their parents need to hear before applications are due. The panel includes participants from Princeton, UPenn, UVM, Wesleyan, Williams, Bryn Mawr, Grinnell, and Marquette. * An inside look at the process of reviewing a college application. * Ranking the importance of grades, test scores, essays, interviews and recommendations. * Making one’s application stand out among the thousands received. * How one’s weaknesses are best addressed in the application. * What can disqualify an otherwise strong applicant? * Does financial need have an impact on admissions? * What role should parents play? * Who exactly are admissions officers? What are their goals? Do admissions decisions ever cause them to lose sleep? The webcast will also be available on-demand following the event via http://wsj.unigo.com. Unigo is one of those hit-yourself-on-the-head-why-didn’t-I-think-of-that brilliant concepts. (Seriously, there’s a big red mark on my forehead right now.) It’s an online, student-generated guide to colleges — and not another outdated directory lacking in detail, nor a glossy brochure that tells you only what the college would like you to hear. And it’s the brainchild of 26-year-old Jordan Goldman, who stealthily colllected tens of thousands of reviews from students at 250 schools over a two year period before launching the site. This free website gives your college-bound kids a chance to find out what campus life is really like as told by other students. (Of course, Unigo editors read all comments and edit out inappropriate content, but negative reviews are part of the package, and never filtered out. )A sophisticated search engine lets your kids look for reviews by kids just like them (for example, they could look to see what the English majors who play sports happen to think about Princeton). It’s a great way to get a little more background before making this big decision.